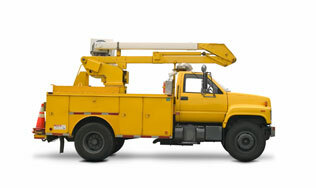 repair and service all makes and brands of heavy and medium duty trucks. Superior Service - we stand by it. Alamo City Truck Service offers service, repair, inspections and free estimates for any service on all makes and models of any truck made. Our well-stocked parts department offers a complete line of WIX, Fleetguard, Caterpillar and Baldwin parts. Keep them in service. Transmission and rear end repairs. Clutches installed. Don't trust your investment to just anyone. Repairs on new, used and rebuilt engines. We can troubleshoot and tune. Diagnostics and setting, tune up and analysis. Keeping you cool and warm.Complete service and repair of your heating and A/C systems. Get them repaired right the first time. Shorten, lengthen, glove inside or outside of frame, cracks and crossmembers repaired. We take care of the details. Filter changes, engine overhaul, electrical, transmission overhauls, complete brake repair, suspension, shocks, struts and FMCSR Inspections.